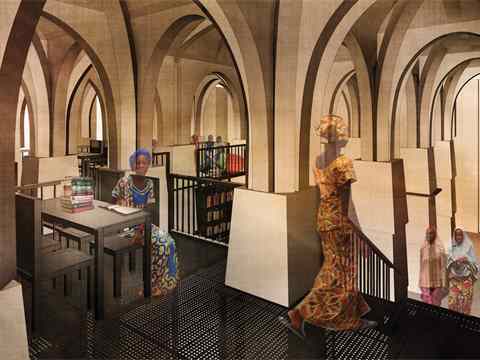 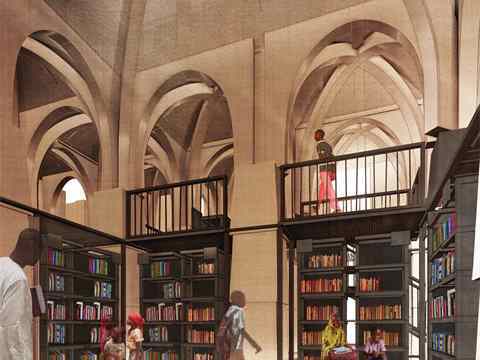 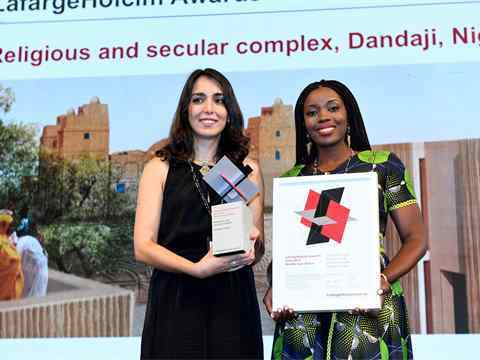 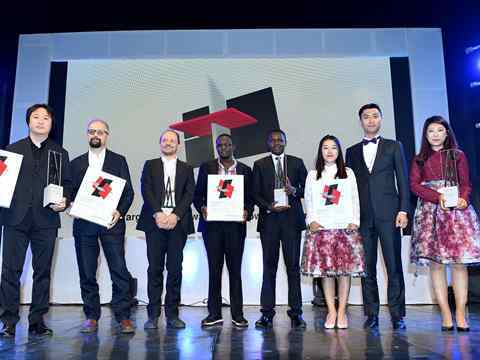 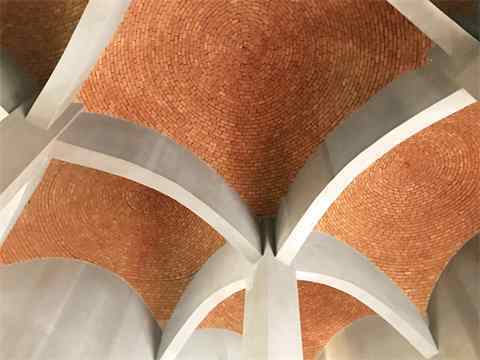 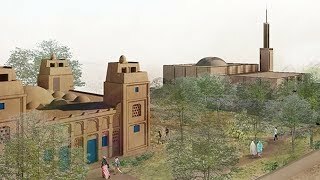 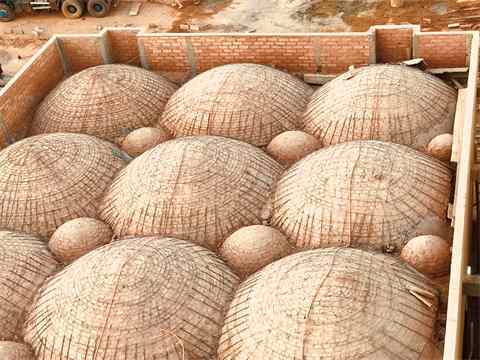 Winners of the LafargeHolcim Awards Gold 2017 Middle East Africa (l-r): Iranian architect Yasaman Esmaili and Nigerien architect Mariam Kamara for Legacy Restored: Religious and secular complex, Dandaji, Niger. 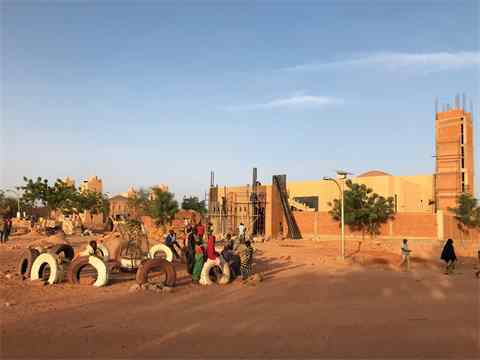 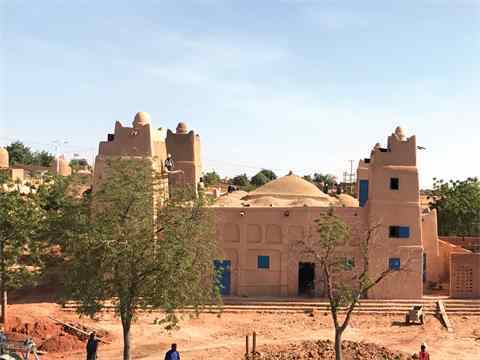 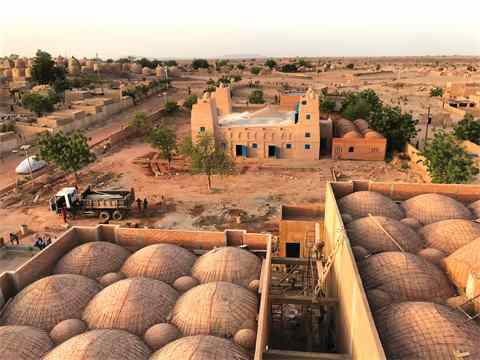 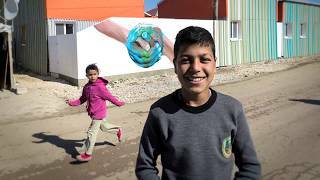 Winner of the LafargeHolcim Awards Silver 2017 Middle East Africa Fatima-azzahra Bendahmane, Ecoactiva, Casablanca, Morocco for Weaving and Stamping: Elementary school and craft training center, Aït Benhaddou, Morocco. 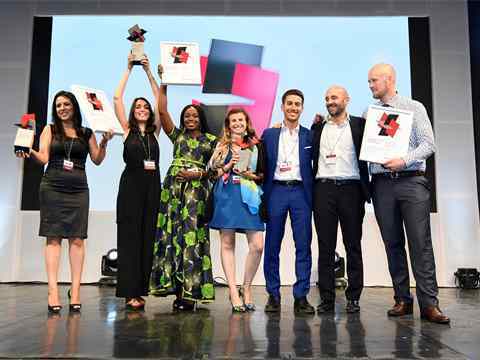 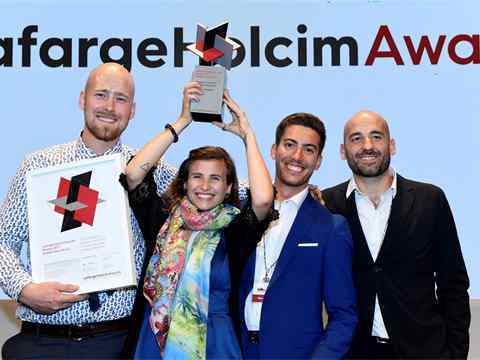 Winners of the LafargeHolcim Awards Bronze 2017 Middle East Africa (l-r): Ronan Glynn, Joana Dabaj, Riccardo Conti and Luca Astorri of CatalyticAction, El Mina Tripoli, Lebanon and London, United Kingdom for Pavilion Re-claimed: Adaptive reuse for refugee education, the El Marj, Lebanon. 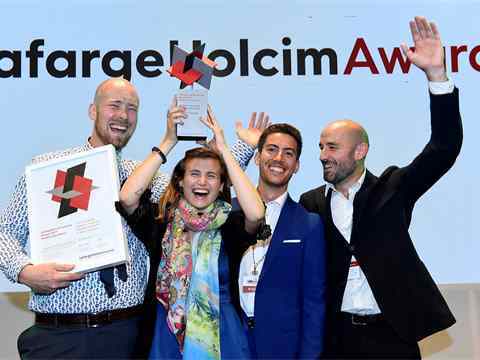 Celebrations after winning the LafargeHolcim Awards Bronze 2017 Middle East Africa (l-r): Luca Astorri, Joana Dabaj, Riccardo Conti and Ronan Glynn of CatalyticAction, Lebanon & United Kingdom for Pavilion Re-claimed: Adaptive reuse for refugee education, the El Marj, Lebanon. 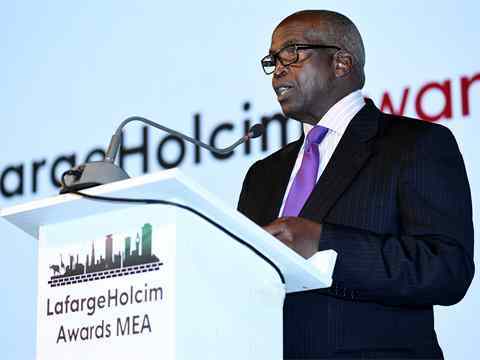 Welcoming guests on behalf of the host Country of the LafargeHolcim Awards ceremony for Middle East Africa was Dr. John Simba, Chairman of the Board of Bamburi Cement, the member of LafargeHolcim in Kenya. 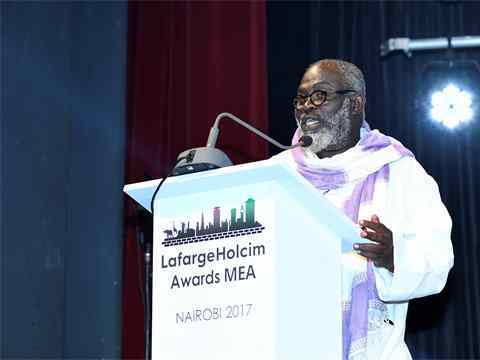 Introducing the LafargeHolcim Awards competition: Joe Addo, Member of the Awards jury Middle East Africa 2017 and Principal of Constructs, Ghana/USA. 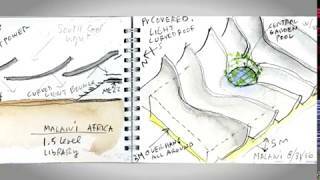 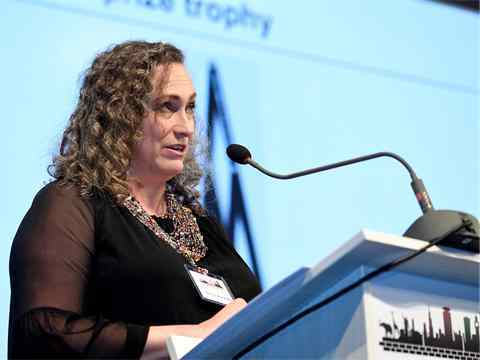 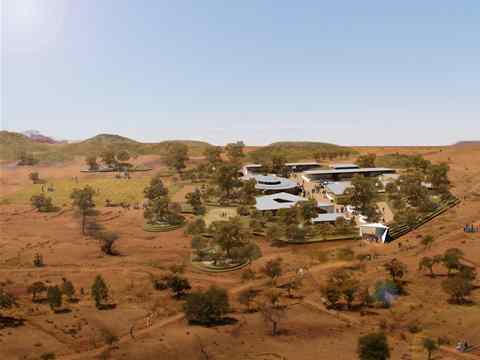 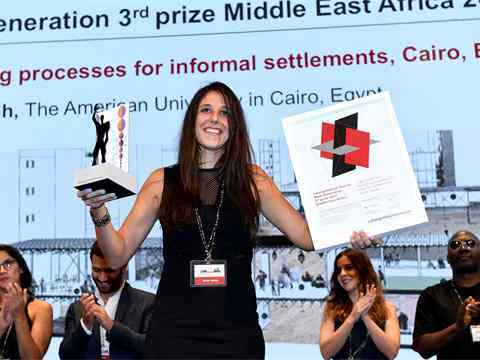 Presenting the winners of the LafargeHolcim Awards Acknowledgement prizes: Chrisna du Plessis, Member of the Awards jury Middle East Africa 2017 and Head of the Department of Architecture University of Pretoria, South Africa. 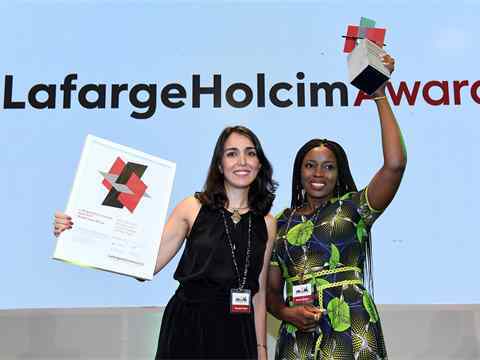 Co-presenter of the LafargeHolcim Awards Next Generation prizes: Kunlé Adeyemi, Member of the Awards jury Middle East Africa 2017 and Principal of NLÉ, Nigeria/The Netherlands. 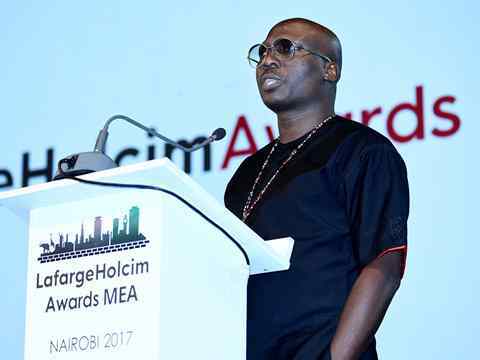 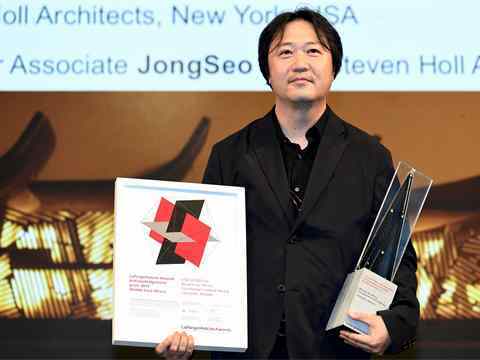 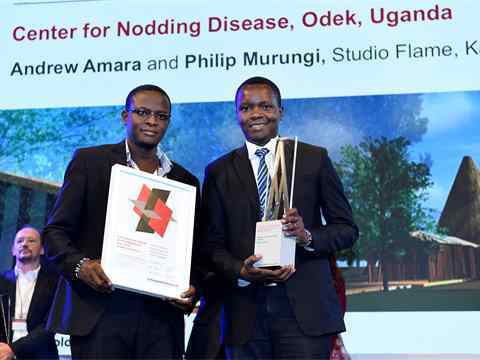 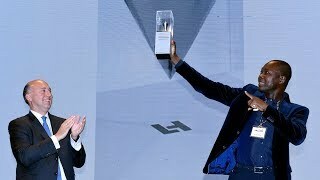 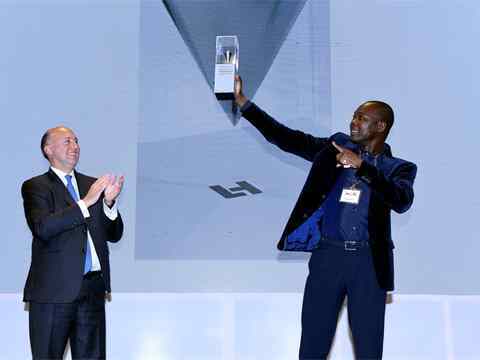 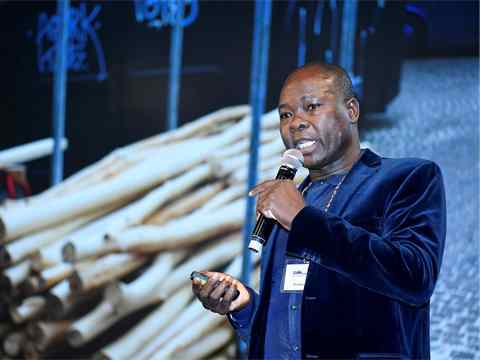 Keynote speaker and winner of the Building Better Recognition Middle East Africa 2017 Francis Kéré, Principal of Kéré Architecture, Burkina Faso/Germany for his school building in Burkina Faso, which won the Global LafargeHolcim Award Gold in 2012. 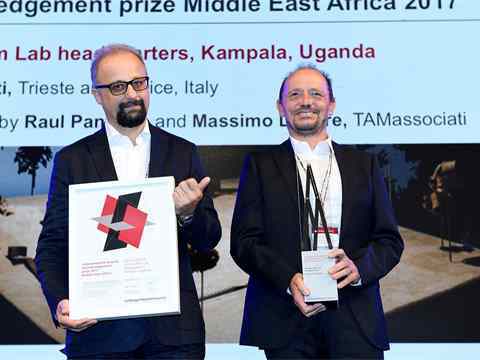 Presenting the Building Better Recognition Middle East Africa 2017 (l-r): José Cantillana, Area Manager LafargeHolcim for East and South Africa congratulating Francis Kéré, Principal of Kéré Architecture, Burkina Faso/Germany for his school building in Burkina Faso, which won the Global LafargeHolcim Award Gold in 2012. 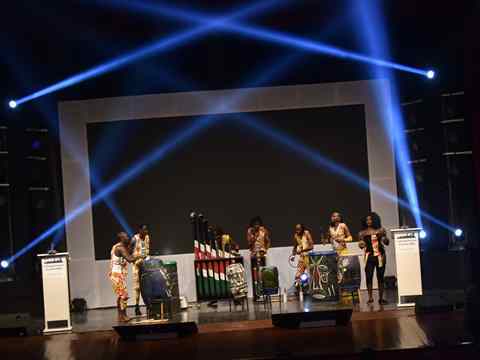 A warm welcome by traditionally dressed Kenyans at the LafargeHolcim Awards ceremony at the Kenya National Theater. 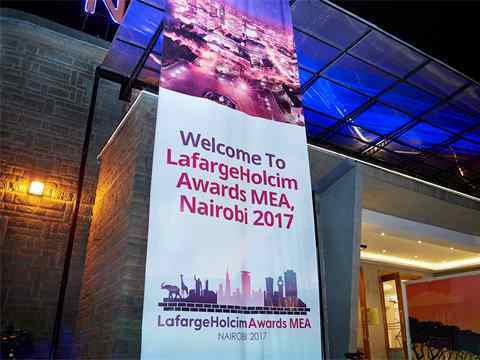 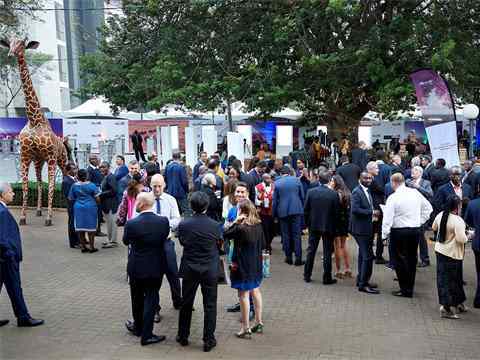 Guests gather at the Kenya National Theater for the first LafargeHolcim Awards ceremony of the 2017 cycle. 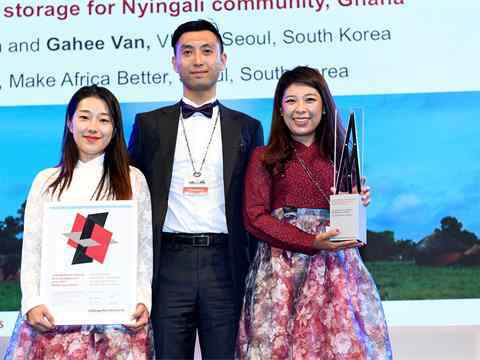 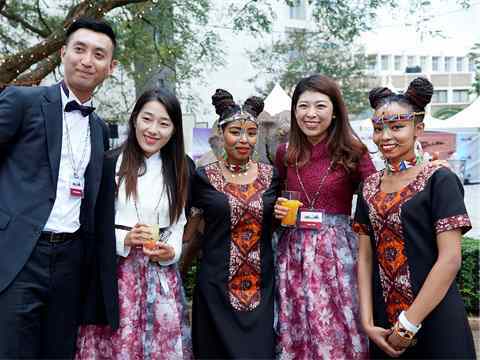 LafargeHolcim Awards Acknowledgement prize winning team for Refrigerating Jar - Shea butter storage for Nyingali community (l-r): Wonjoon Han and Gahee Van, VHAN, South Korea, and Sookhee Yuk, Make Africa Better, South Korea with welcome staff in traditional dress. 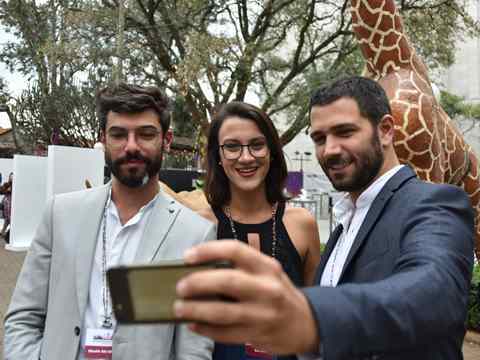 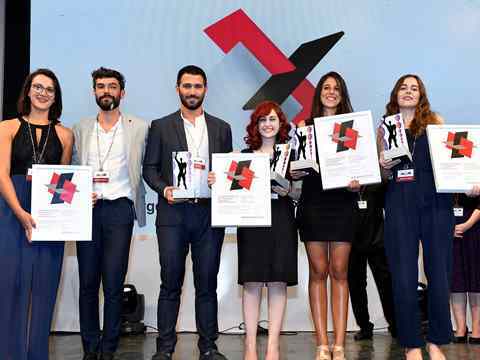 Next Generation 2nd prize winners for Recovering Aleppo - Rubble recycling units (l-r): Ghaith Abi Ghanem, GHAITH&JAD Architecture and Design; Nour Madi, American University of Beirut (AUB) and Jad Melki, GHAITH&JAD Architecture and Design, Lebanon. 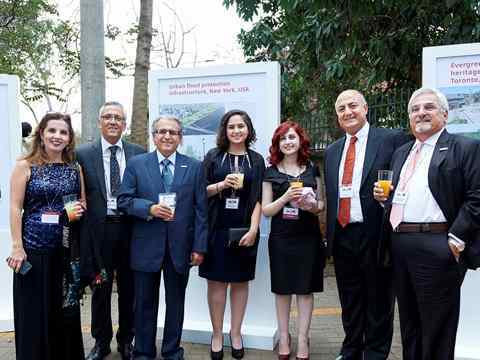 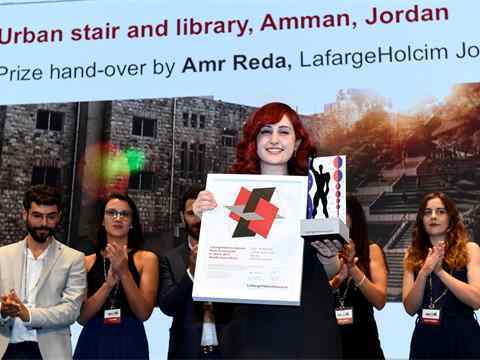 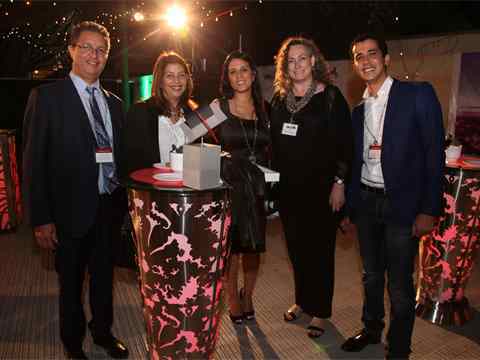 Delegation from Jordan including Next Generation 4th prize winner for Steps of Amman - Urban stair and library (3rd from right): Noor Marji, German Jordanian University, Amman, Jordan. 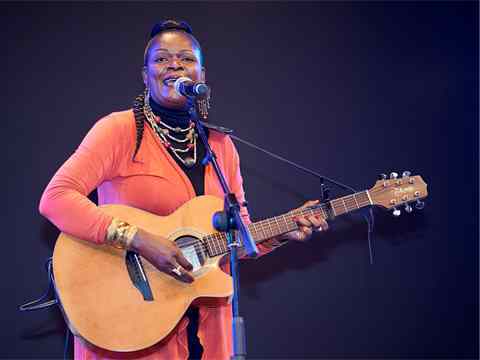 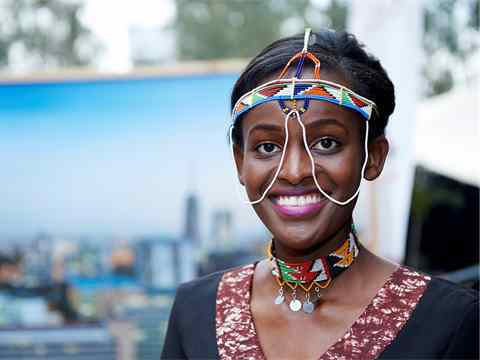 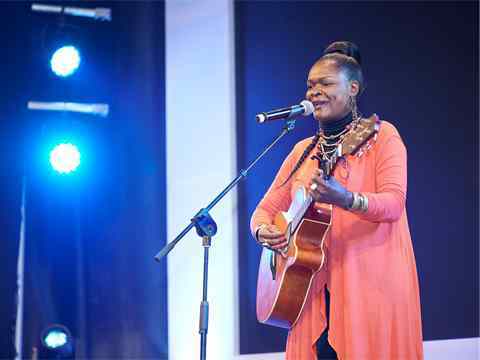 Internationally-renowned Suzanna Owiyo performed her fusion of western Kenyan music, traditional African instruments and contemporary rhythms. 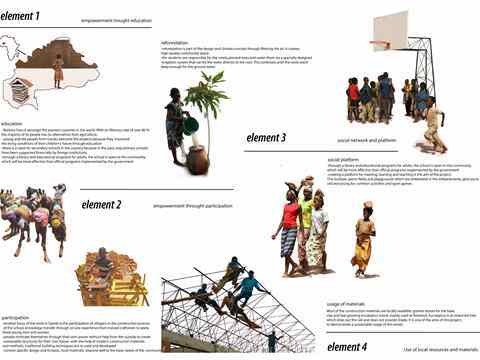 Entertainment at the ceremony include The Slum Drummers, a community-based group of young drummers whose goal is to share musical practices and social topics with young people - encouraging them to stay away from drugs alcohol and all the risks they can face in a slum: www.slumdrummers.co.ke. 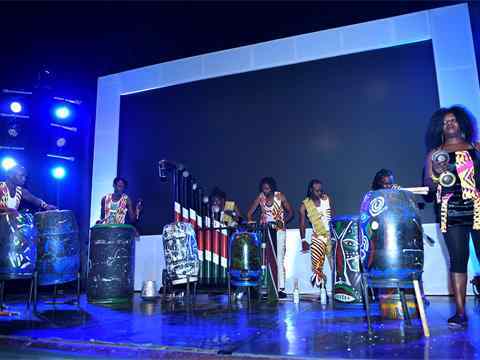 Entertainment at the ceremony included The Slum Drummers, a community-based group of young drummers whose goal is to share musical practices and social topics with young people - encouraging them to stay away from drugs alcohol and all the risks they can face in a slum: www.slumdrummers.co.ke. 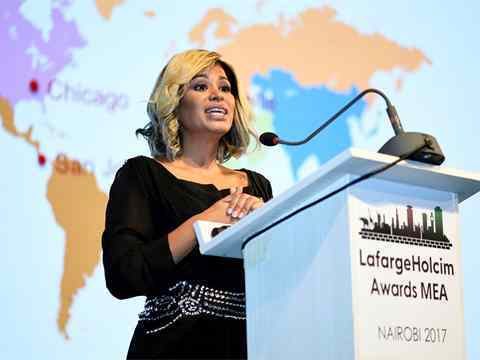 Master of Ceremonies at the LafargeHolcim Awards ceremony in Nairobi was Julie Gichuru, TV Host, Kenya. 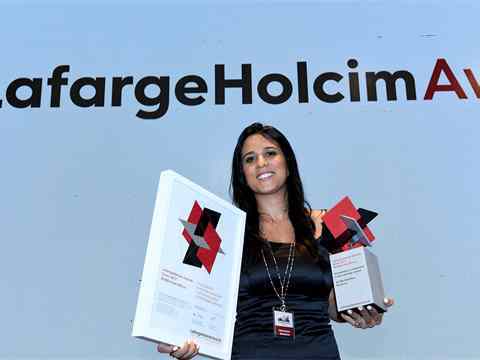 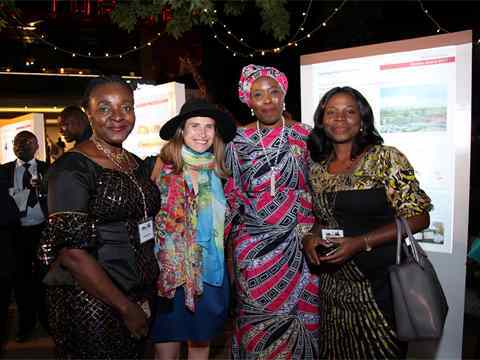 Guests at the reception following the LafargeHolcim Awards prize handover ceremony. 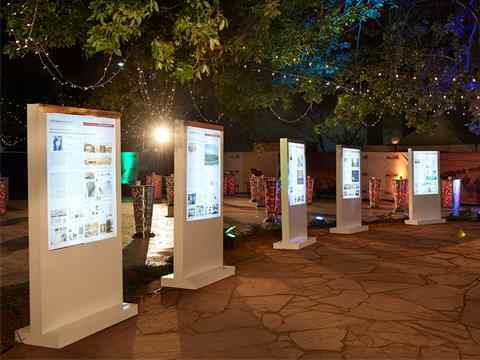 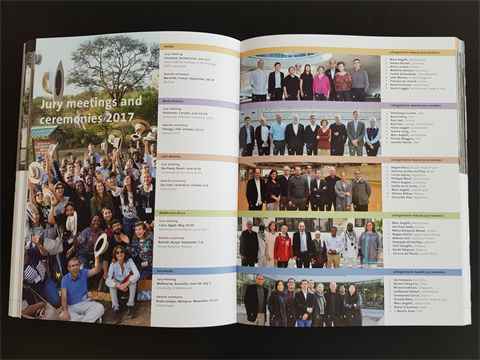 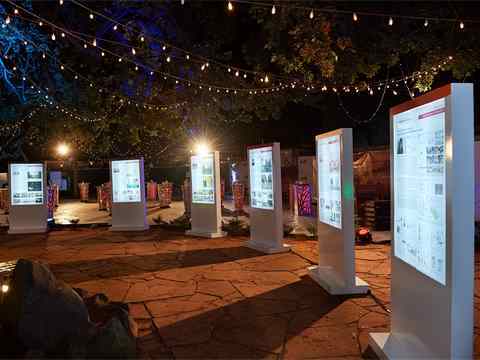 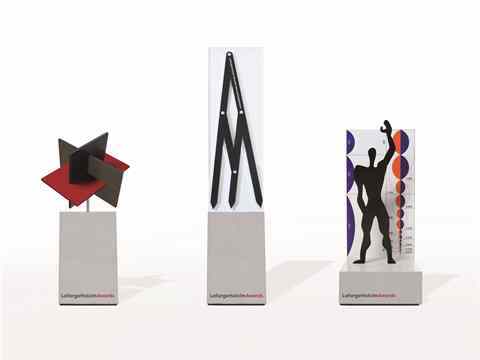 Illuminated posters of the LafargeHolcim Awards prize winning projects from Middle East Africa and introducing the LafargeHolcim Foundation. 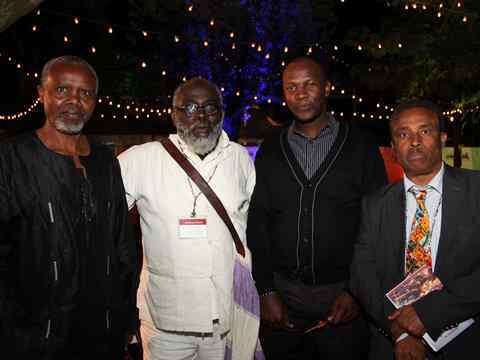 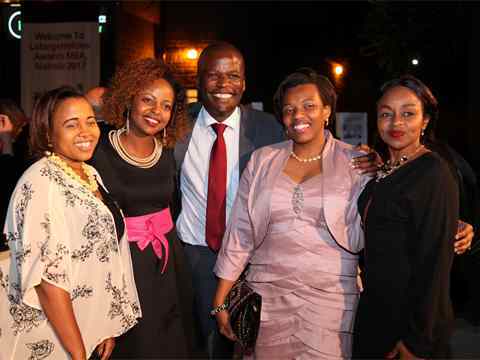 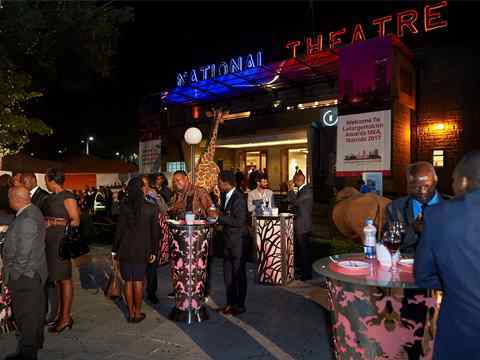 Reception following the LafargeHolcim Awards ceremony at the Kenya National Theater. 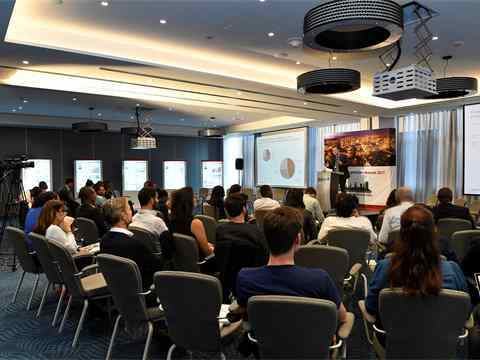 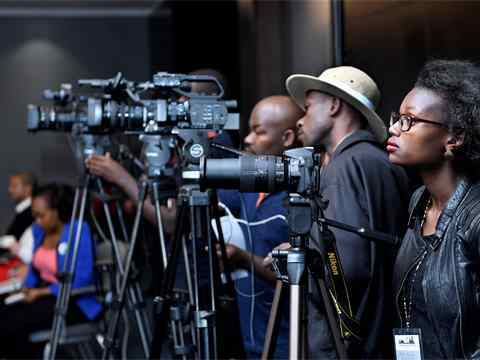 A impressive number of Kenyan and international journalists attended the media briefing following the prize handover ceremony of the LafargeHolcim Awards for Sustainable Construction in region Middle East Africa. 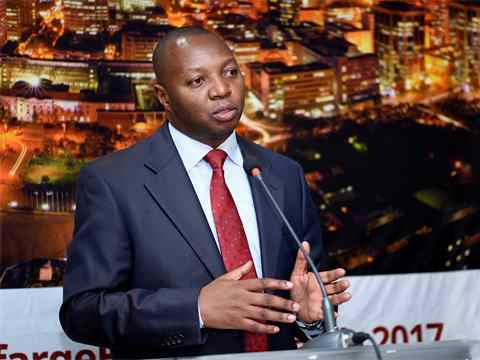 Dr. Daniel O. Manduku, Director of the National Construction Authority of Kenya, explained the national context and the importance of pursuing sustainable construction. 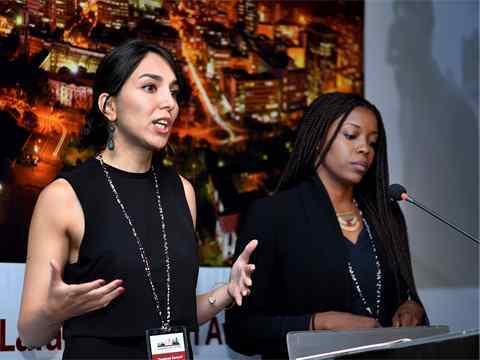 LafargeHolcim Awards Gold winners Iranian architect Yasaman Esmaili (speaking), and Nigerien architect Mariam Kamara, present their project Religious and secular complex, Dandaji, Niger at the media briefing. 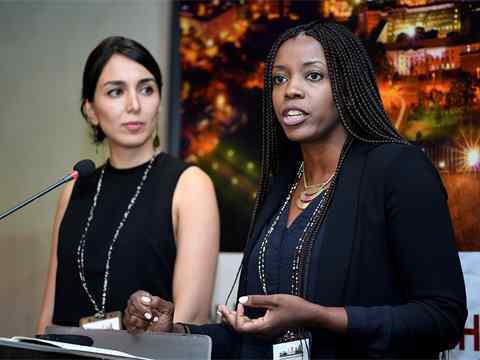 LafargeHolcim Awards Gold winners Nigerien architect Mariam Kamara (speaking), and Iranian architect Yasaman Esmaili present their project Religious and secular complex, Dandaji, Niger at the media briefing. 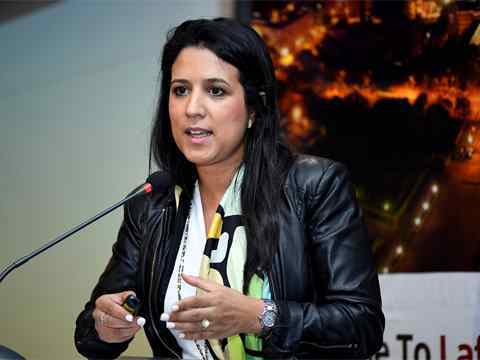 LafargeHolcim Awards Silver winner Fatima-azzahra Bendahmane, Ecoactiva, Casablanca, Morocco presents her project Weaving and Stamping: Elementary school and craft training center, Aït Benhaddou, Morocco at the media briefing. 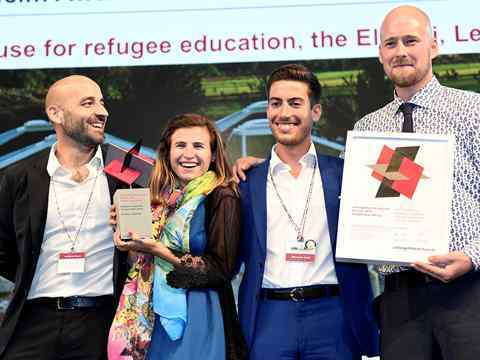 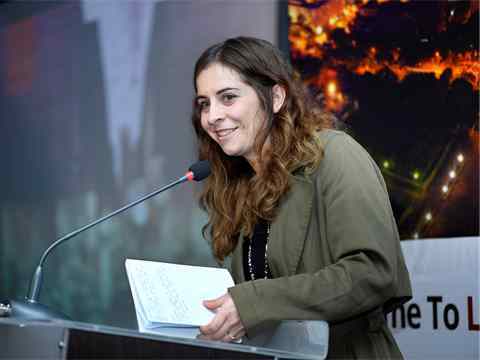 LafargeHolcim Awards Bronze 2017 winners Joana Dabaj (speaking), CatalyticAction, El Mina Tripoli, Lebanon and Riccardo Conti, CatalyticAction, London, present their project Pavilion Re-claimed: Adaptive reuse for refugee education, the El Marj, Lebanon at the media briefing. 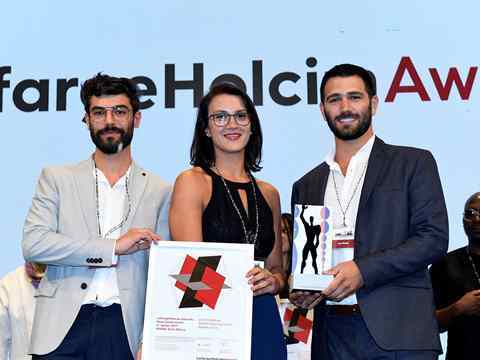 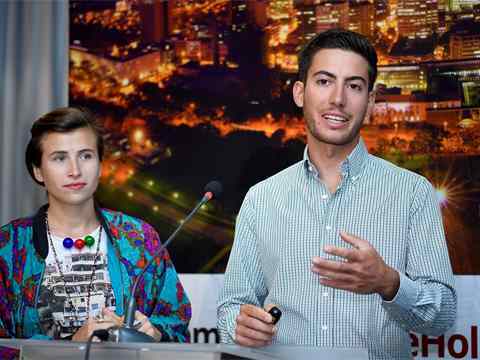 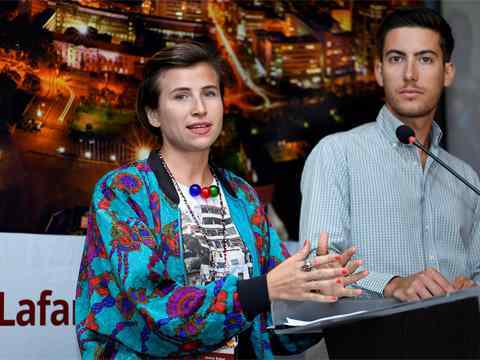 LafargeHolcim Awards Bronze 2017 winners Riccardo Conti (speaking), CatalyticAction, London and Joana Dabaj, CatalyticAction, El Mina Tripoli, Lebanon present their project Pavilion Re-claimed: Adaptive reuse for refugee education, the El Marj, Lebanon at the media briefing. 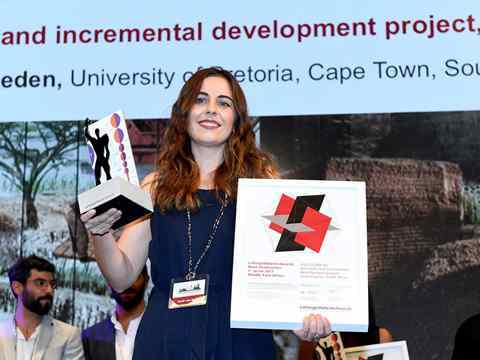 LafargeHolcim Awards Next Generation 1st prize winner Heidi van Eeden, University of Pretoria, Cape Town, South Africa presents her project Brick kiln and incremental development project, Soshanguve, South Africa at the media briefing. 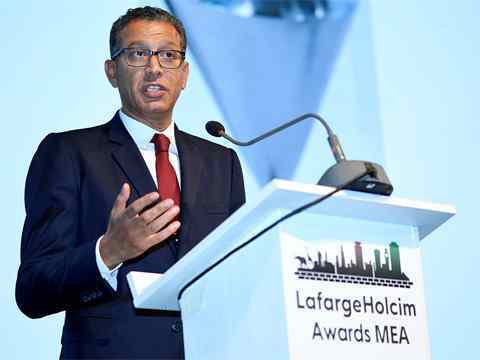 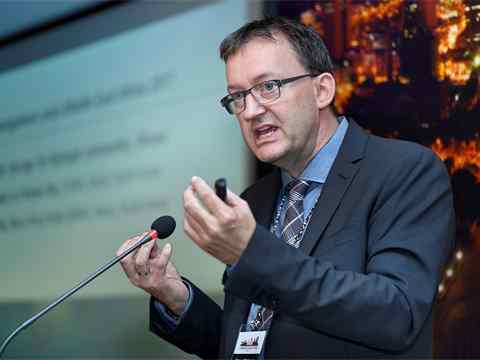 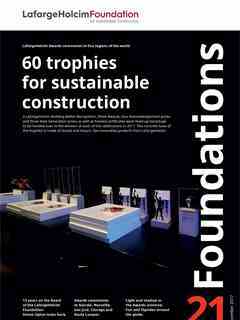 Edward Schwarz, General Manager of the LafargeHolcim Foundation, introduced the Foundation and its activities and put the Awards in a global context. 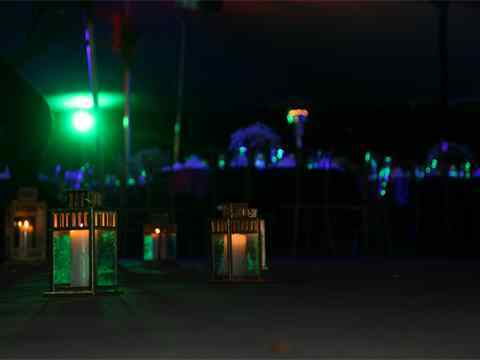 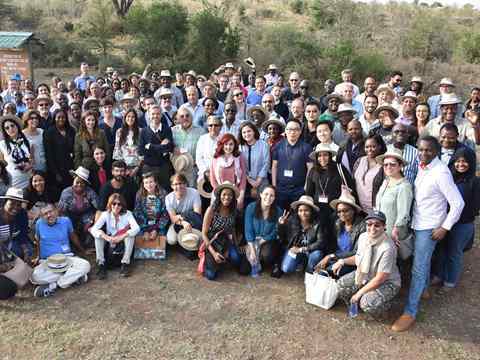 Nairobi National Park, the first national park in Kenya which was established in 1946 and is 7km from the city centre, was the venue for the lunch break on the second day program. 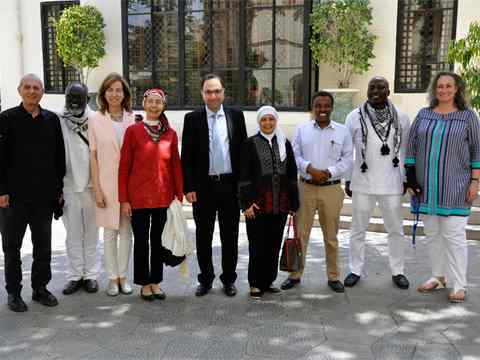 The LafargeHolcim Awards jury for region Middle East Africa met at the American University in Cairo (AUC), Egypt in May 2017 to select projects using the “target issues” for sustainable construction (l-r): Marc Angélil (Switzerland), Joe Osae-Addo, (Ghana), Meisa Batayneh Maani (Jordan), Nagwa Sherif (Egypt, Head of Jury), Mohsen Ech (Lebanon/France), Howayda Al-Harithy (Lebanon), Fasil Giorghis (Ethiopia), Kunlé Adeyemi (Nigeria) and Chrisna du Plessis (South Africa). 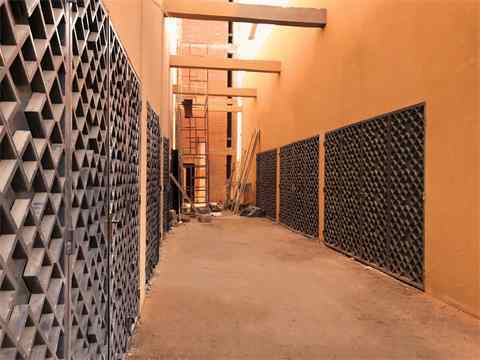 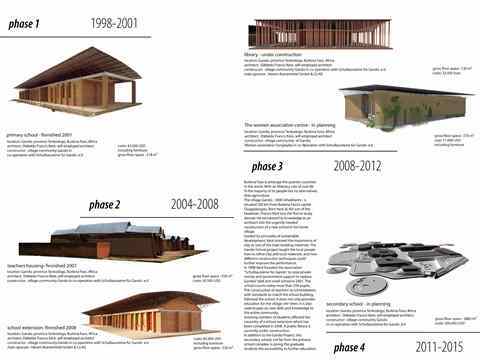 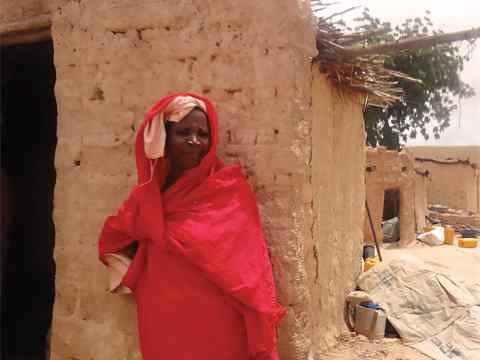 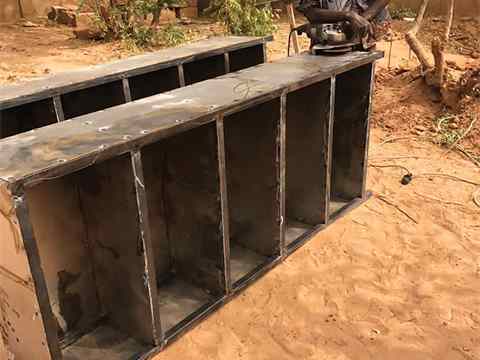 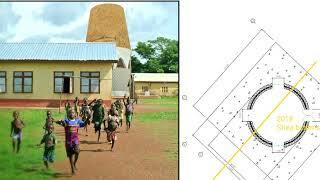 Project entry 2011 - Secondary school with passive ventilation system, Gando, Burkina Faso: Project objectives. 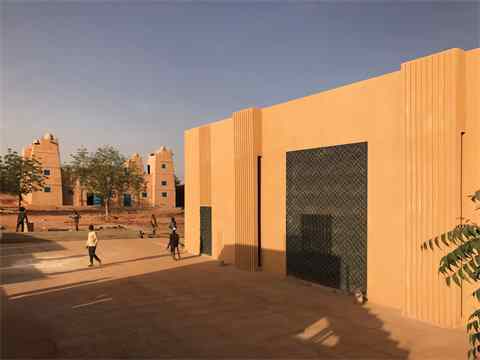 Project entry 2011 - Secondary school with passive ventilation system, Gando, Burkina Faso: Courtyard. 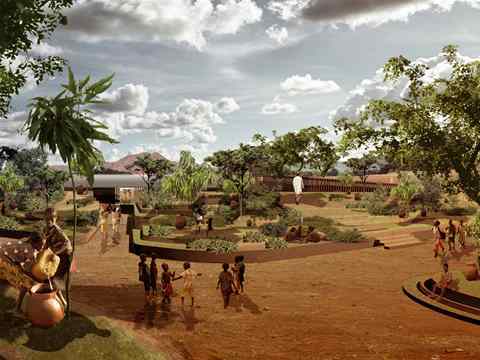 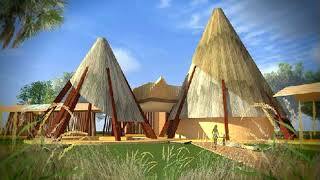 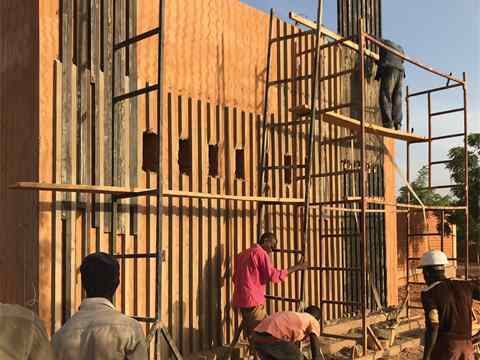 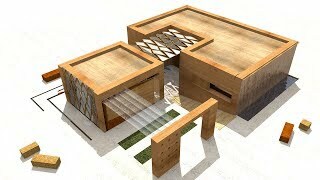 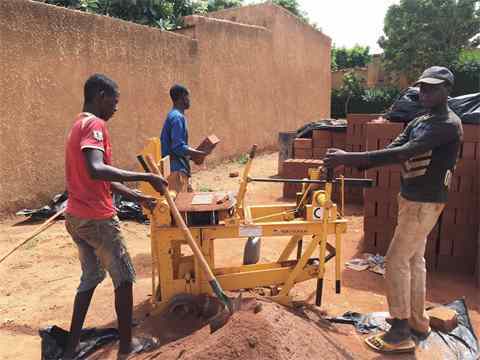 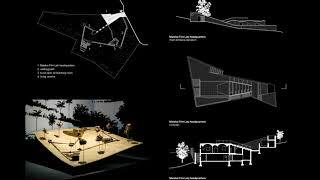 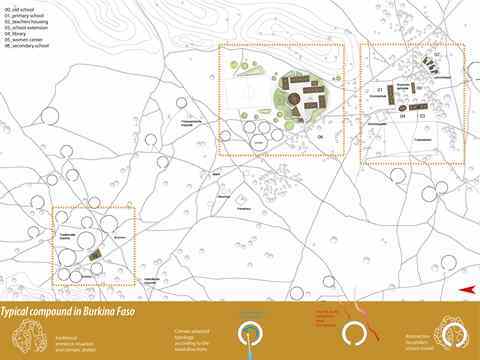 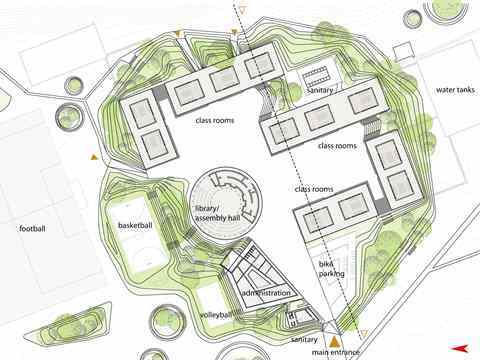 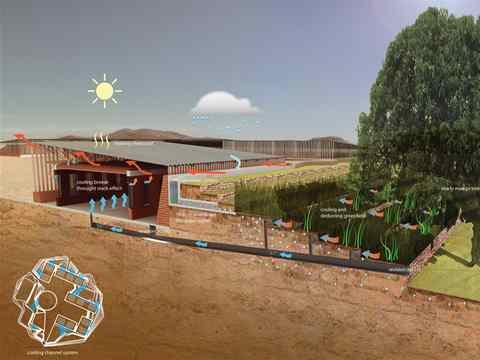 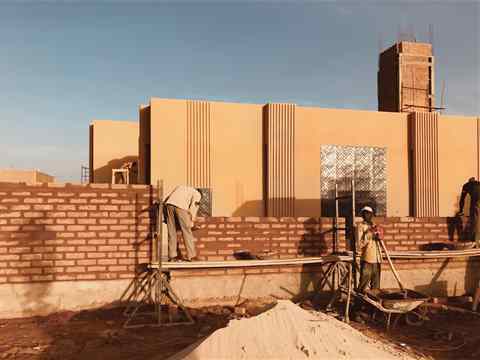 Project entry 2011 - Secondary school with passive ventilation system, Gando, Burkina Faso: Plan. 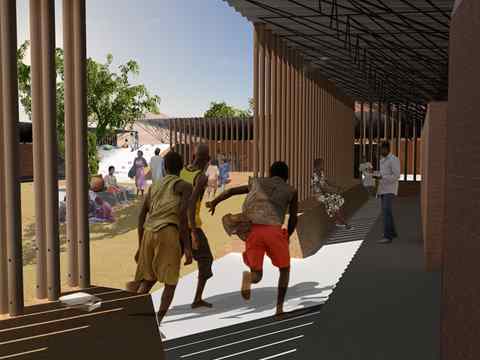 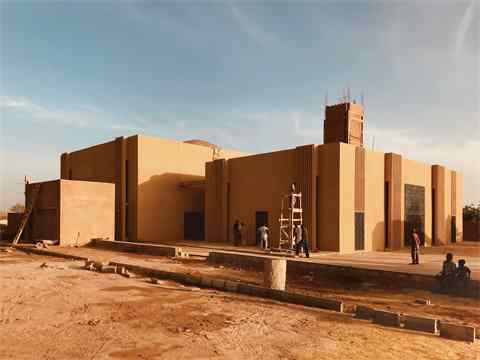 Project entry 2011 - Secondary school with passive ventilation system, Gando, Burkina Faso: Entrance perspective. 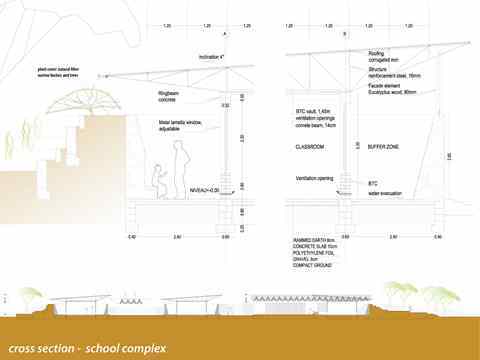 Project entry 2011 - Secondary school with passive ventilation system, Gando, Burkina Faso: Cross section. 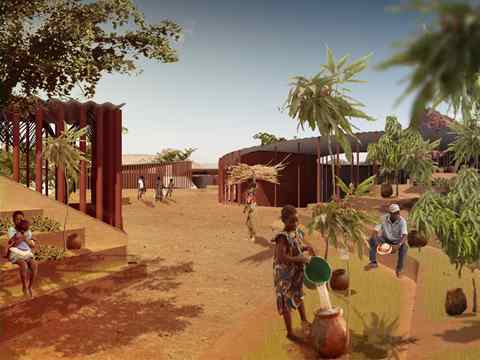 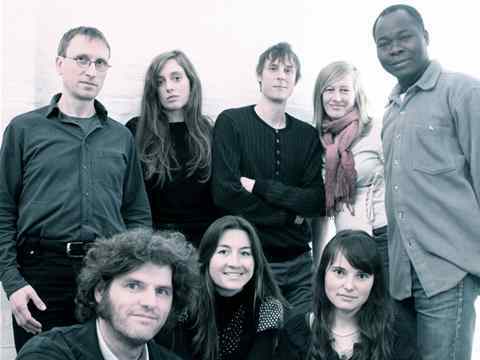 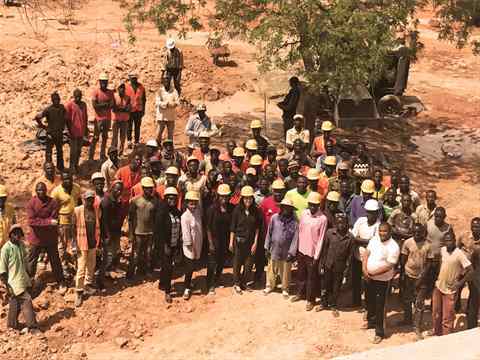 Project entry 2011 - Secondary school with passive ventilation system, Gando, Burkina Faso: Team Picture.